But most distinctly, I remember always saying to myself that when I get big, I'm not going to go to bed hungry, I'm not going to wear hand-me-down clothes. Comments on: "Buck Owens Quotes: But most distinctly, I remember always saying to myself that when I get..."
The road had the lonely times, but I kept myself busy. And I said, ‘Why not? It’s the truth! Why can’t I say I’m a Beatles fan?’ I used to get criticized for that. I am who I am, I am what I am, I do what I do and I ain’t never gonna do it any different. I don’t care who likes it and who don’t. I’d like just to be remembered as a guy that came along and did his music, did his best and showed up on time, clean and ready to do the job, wrote a few songs, and had a hell of a time. I enjoyed the Hee Haw people, but from 1980 on I didn’t enjoy it and thought about leavin’, and thought, hell, it’s an easy job and pays wonderful. I kinda just prostituted myself for their money. I found a sound that people really liked – I found this basic concept and all I did was change the lyrics and the melody a little bit. My songs, if you listen to them, they’re quite a lot alike, like Chuck Berry. 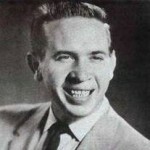 Buck Owens was born in Sherman, Texas. He was an American guitarist, singer, songwriter and band leader who had 21 No. 1 hits on the Billboard country music charts with his band the Buckaroos. While Owens originally used fiddle and retained pedal steel guitar into the 1970s, his sound on records and onstage was always more stripped-down and elemental, incorporating elements of rock and roll. Beginning in 1969, Owens co-hosted the TV series Hee Haw with Roy Clark. He left the cast in 1986. He is a member of the Country Music Hall of Fame and the Nashville Songwriters Hall of Fame.